Ok, what's the deal with these oils, anyway? You may have seen a post on Instagram, heard someone talking about them, or even seen some oils at your grocery store or Whole Foods. Now you are wondering why everyone keeps talking about them. Essential oils are just that, oils. They are oils found in plants and are used to heal and protect these plants within their environments. When these oils are extracted with great care (you can read more about Young Living's seed to seal process here) they can aid in keeping our bodies healthy + happy, they way they were intended to be. Oils are made up of TINY molecules. Molecules so small that they can make their way into our cells and basically access the most fundamental levels of our body. These oils are different than your cooking oils which are made of fat. While they're beginning to become pretty popular, this isn't a new thing. Remember Baby Jesus and The Three Wisemen? Guess what some of the gifts were they gave him - yup! Essential Oils. So they're not the fad you might think they are. 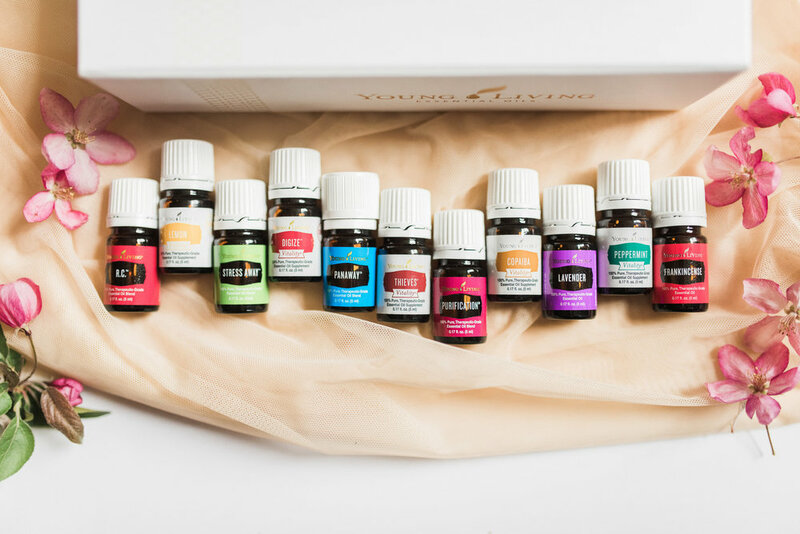 It is really important to know that not all essential oils are therapeutic grade and safe to use in the ways Young Living essential oils are. For example, those oils you saw at the health market probably cannot be ingested the way Young Living oils can. After researching Young Living's "Seed to Seal" process and seeing that many other essential oil brands contain synthetic oils, I knew it was the product I felt safest using and continue to use around my daughter. I started using Young Living oils for my own health reasons. I never thought I would become a part of the company as a distributor!